Recently, we discovered a major hole in our Pacific Northwest coverage. 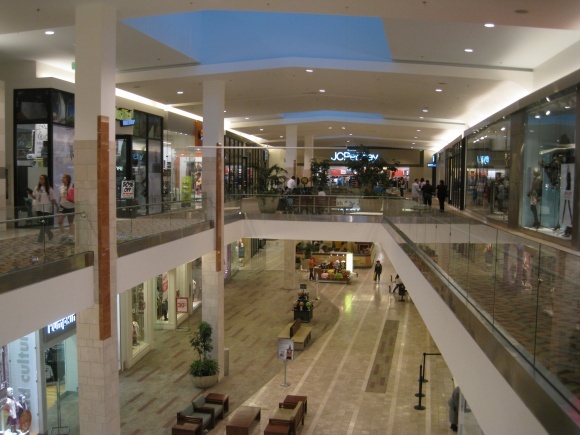 We consider this a major oversight, because we’ve visited most of the malls in Oregon and British Columbia, as well as in western Washington. 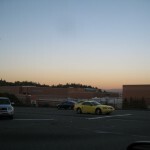 However, we’ve neglected to post anything in one of the largest cities in the country, Seattle. So, it seems somewhat fitting to have a big Seattle debut, right? 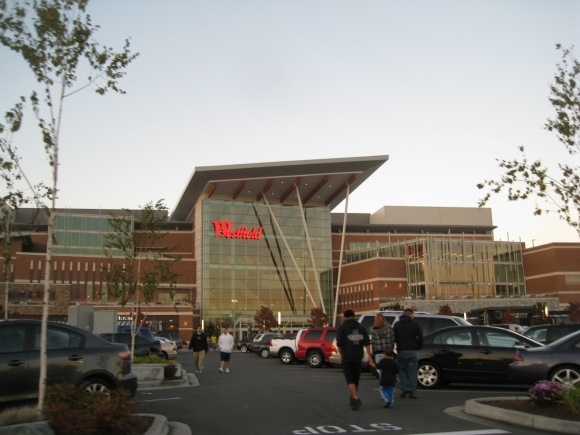 Westfield Southcenter is not only the biggest mall in the Seattle area, but it’s also the largest mall in the entire Pacific Northwest. 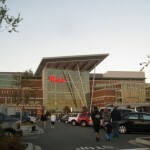 Located at the intersection of I-405 and I-5, about 10 miles south of downtown Seattle and 20 miles north of Tacoma, Westfield Southcenter is a super-regional draw in western Washington, drawing shoppers from all parts of the Seattle-Tacoma metropolitan area, a region home to 3.5 million people. 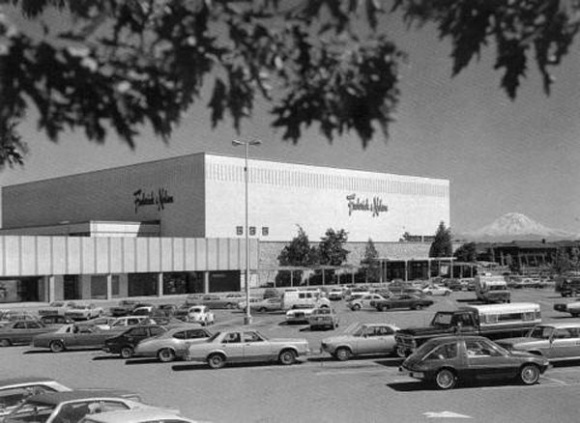 Westfield Southcenter opened to humbler beginnings in 1968 as Southcenter Mall. 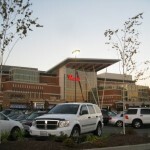 Strategically located at the intersection of Interstate 5, the major north-south corridor through western Washington and the Pacific Northwest, and Interstate 405, which connects Interstate 5 to Seattle’s suburbs on the eastern side of Lake Washington, Southcenter’s success was predicated on this accessibility. 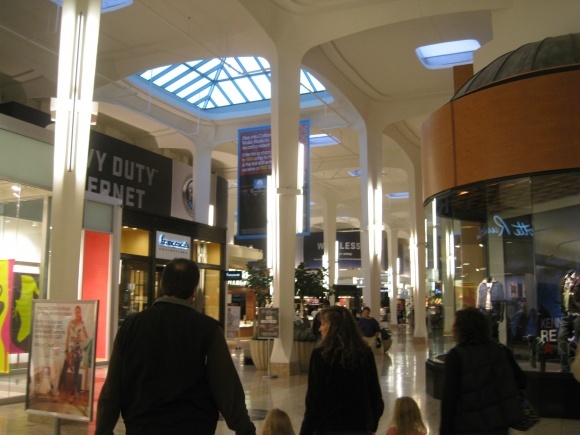 According to mall-hall-of-fame, Southcenter Mall originally had 116 stores on a single level, anchored by three Seattle-based department stores: a 170,000 square-foot Frederick and Nelson, a 240,000 square-foot Bon Marché, and a smaller Nordstrom Best. For those unfamiliar with Nordstrom’s history, prepare to get schooled. 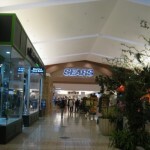 The venerable retailer started in 1901 as a shoe store in Seattle. 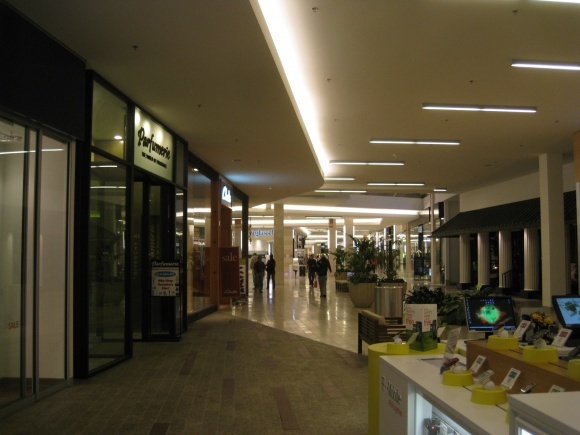 Here’s what I didn’t know, and you may not either: Nordstrom only sold shoes until 1963, when it merged with a Seattle apparel store called Best Apparel. 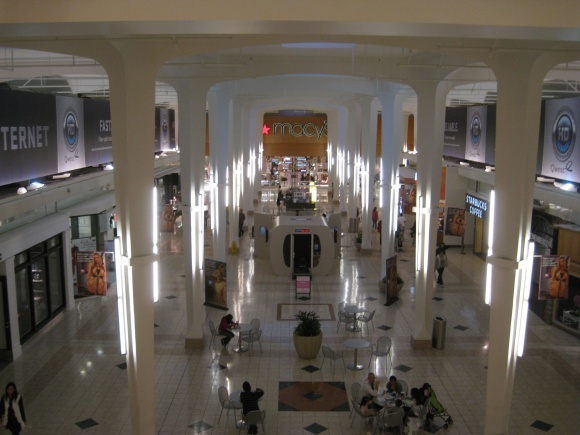 The name was then changed to Nordstrom Best, and later to just Nordstrom by 1973. 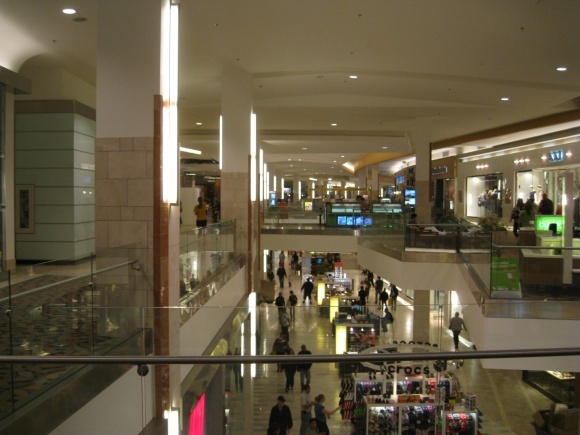 Southcenter was developed by Allied Stores, an established department store conglomerate which also owned Seattle-based The Bon Marché. 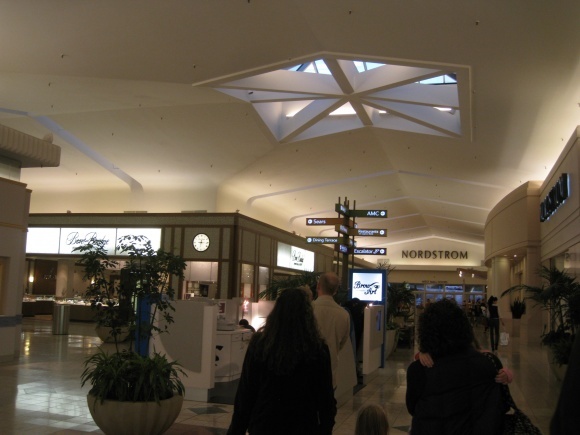 Not surprisingly, Bon Marché was featured as the centerpiece of Southcenter Mall, in the middle of the mall along the main hallway. The court in front of Bon Marché featured an impressive atrium called Columnarium, the focal piece of the mall, which still exists today. 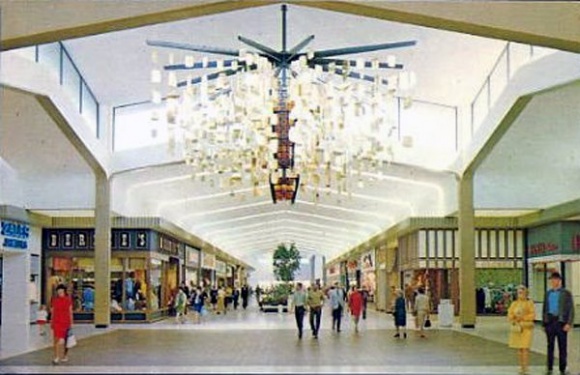 Another smaller court, East Court, between Bon Marché and JCPenney, was known for its stunning hanging chandeliers. 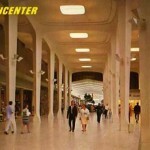 Allied also developed nearby Tacoma Mall in 1965, using a similar layout, and Northgate Mall, in Seattle, in 1950. 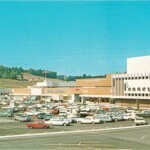 Few changes took place at Southcenter during the 1970s and 1980s. A Cinerama-style movie theater, one of the last of its kind, opened in 1970. 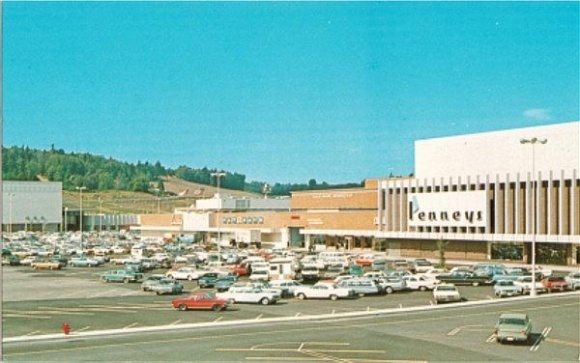 And, as mentioned above, Nordstrom Best turned into simply Nordstrom in 1973, and in 1989 the Lucky Supermarket closed and was replaced by a food court. 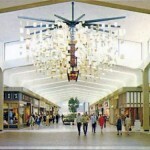 In 1992, two major changes took place at Southcenter. 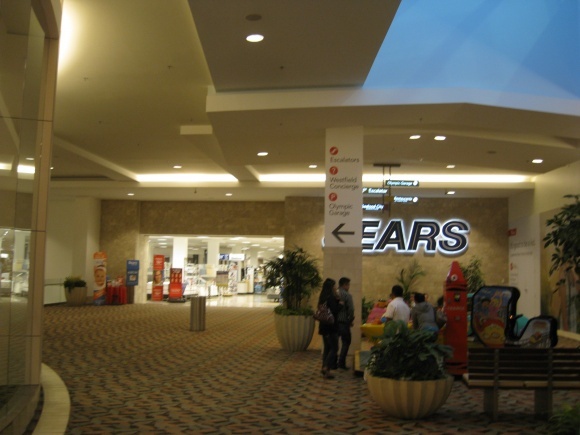 First, Frederick and Nelson closed up shop and was quickly replaced by Sears. 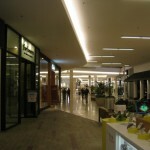 Second, a new 13-store wing was added to the eastern end of the mall, ending at a two-level, 86,000 square-foot Mervyn’s. 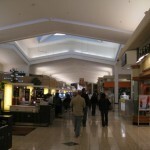 The 2000s brought even bigger changes to Southcenter, culminating in a renovation and expansion, which was complete in 2008. 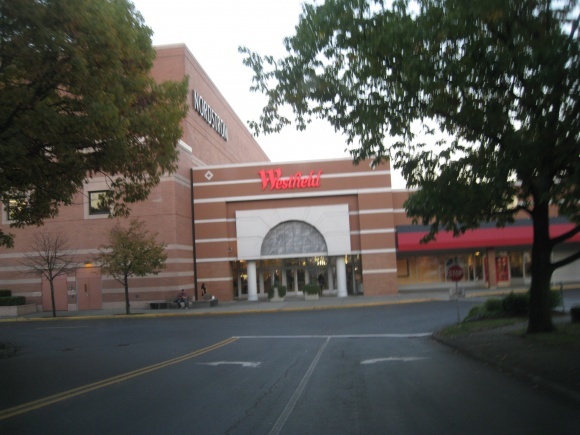 First, in 2002, Westfield purchased the mall, changing its name from Southcenter Mall to Westfield Shoppingtown Southcenter. 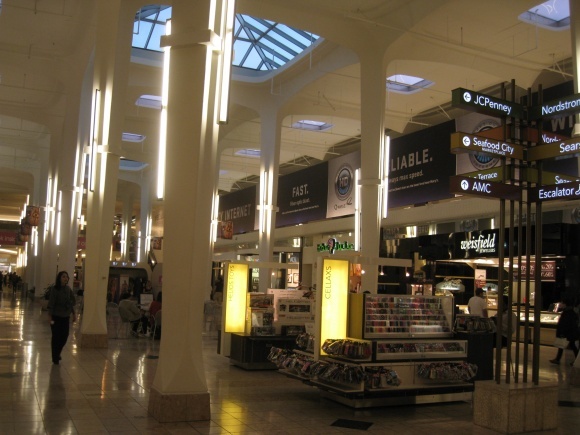 Then, in 2003, Federated decided to phase out the venerable Bon Marché name in favor of Bon-Macys. 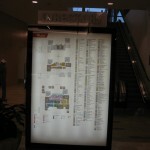 By 2005, Bon-Macys was rebranded as just Macys, and Westfield dropped the rather stupid ‘Shoppingtown’ moniker. 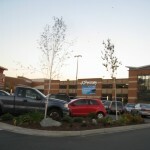 In 2006, a massive expansion project began, which added a new southern wing parallel to the original mall, with 300,000 square feet of additional space, 75 new stores, 5 sit-down restaurants, 2 parking structures, an AMC Multiplex Theater, and an expanded second-level food court with views of Mount Rainier. 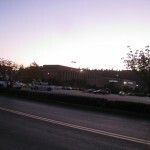 The expansion was dedicated July 25, 2008, almost exactly 40 years after the mall’s grand opening. 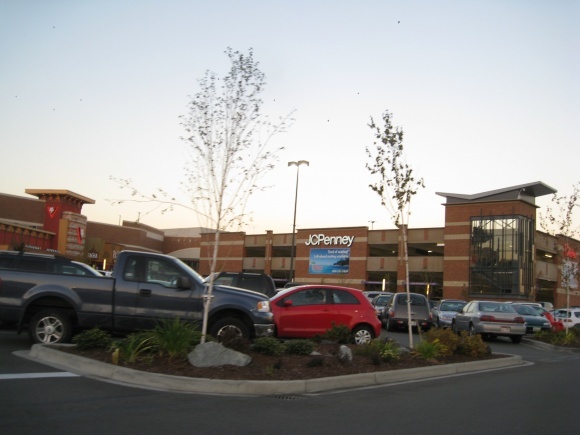 During the expansion, in 2006, troubled and now non-existant retailer Mervyn’s shuttered their stores in the Pacific Northwest, including the one at Southcenter. 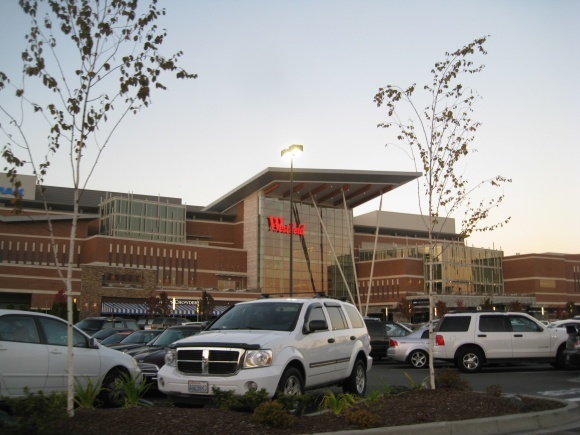 After remaining shuttered for several years, Westfield secured a non-traditional anchor tenant, Seafood City Supermarket, to retenant the space in 2010. 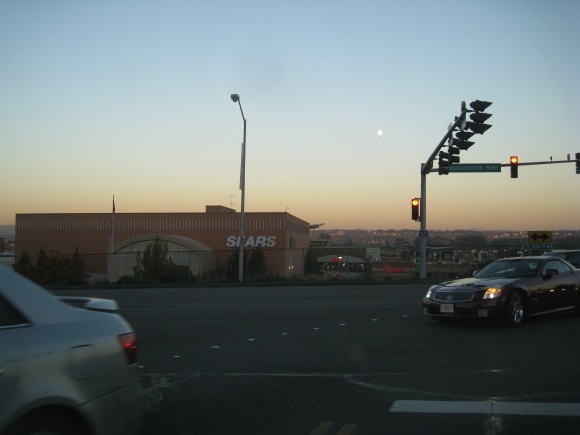 Seafood City is an asian-themed supermarket with an emphasis on Filipino items, and helped establish an Asian-themed wing of Southcenter, complementing fast-food restaurant Jolibee and other Asian-themed retailers also in operation. 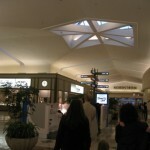 This theming is a creative way of dealing with having a short wing die in an otherwise successful mall. 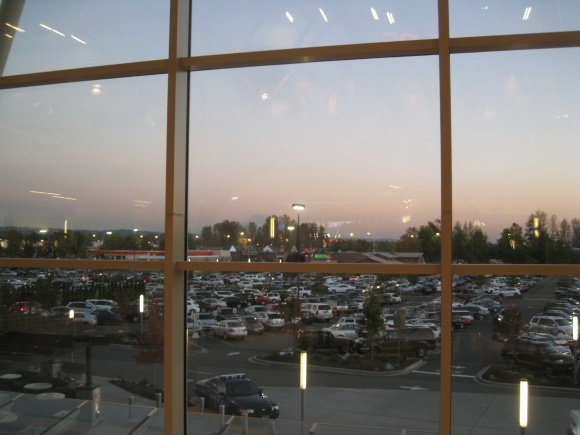 Caldor and I visited Southcenter Mall together in October 2010 and took the pictures featured here. Leave some of your own experiences and impressions in the comments. 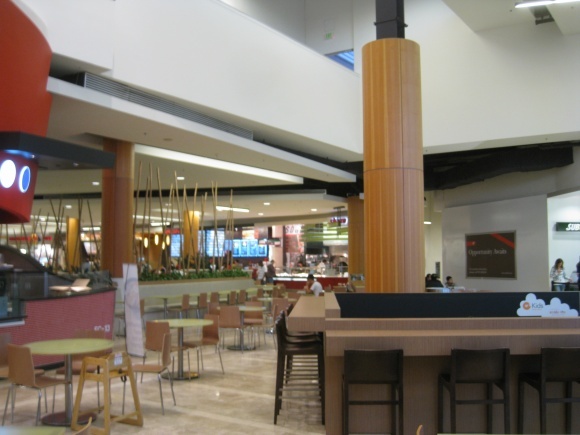 Wow, an amazing expansion, a supermarket tenant…what’s not to love? 2 shootings took place here(I believe)last year. 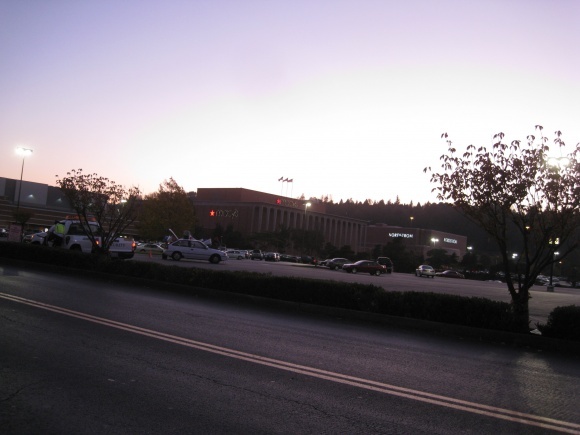 The origional theatre here & at Tacoma Mall were both owned by Cineplex Odeon. 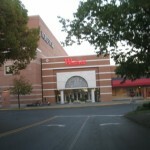 The current AMC theatre is based on the one at Garden State Plaza another Westfield property. Sea Food City was an interesting way to fill a dead anchor. Perhaps this could be a sign that developers are no longer dependent on lifestyle center aditions for expantions or when an anchor closes. 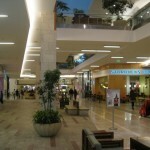 I LOVE Southcenter; it’s a must ‘go-to’ when I am in Seattle, just for the busy NW ‘sophisticated’ urban vibe and beat! 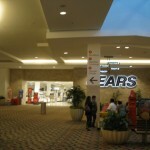 In April 2008, the Macy*s mens store at WSC was very unkempt with seemimgly no attempt at merchandising. 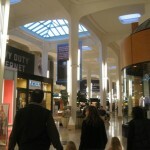 I always do Bellevue Sq., Southcenter, and downtown for Nords and trying to find a ‘quality’ Macy*s.
Beautiful mall. It is nice that they actually preserved much of the original architecture, which was fantastic. 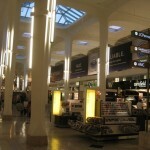 However, I find those kiosks in the Bon Marche atrium an atrocity of clutter. 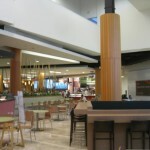 @JT, I kind of wish all the kiosks would just burn down, and/or most of their employees get deported. That would be something to give thanks for? 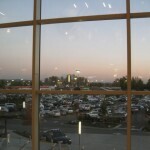 Despite its size, Southcenter tends to be among my last choices of malls when I go shopping. I’ve only been there three or four times in the nearly fifteen years I’ve lived in Seattle, and every time it has felt a little bit trashy to me. I don’t really know what it is; it just doesn’t feel like somewhere I want to spend time if I have the choice. 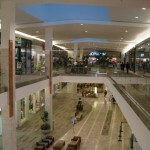 For “real” malls, I prefer Bellevue Square, Alderwood or even Northgate. 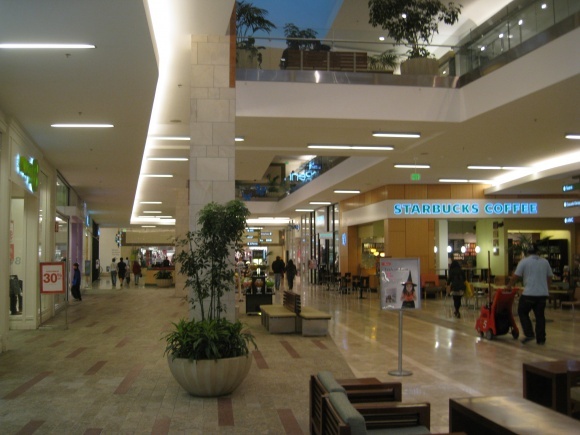 The downtown malls (Pacific Place and Westlake Center) are better too, but I don’t put them in the same class since they’re quite a bit smaller. 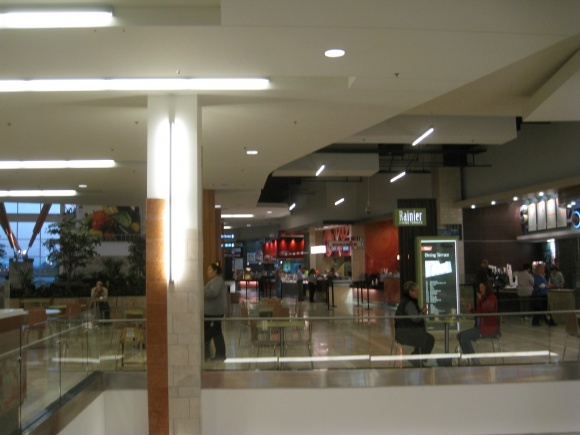 Northgate, Tacoma, and Southcenter malls (as well as the Ala Moana Mall in Honolulu) were all designed by noted Seattle architect John Graham, Jr., who was in part responsible for designing the Space Needle. 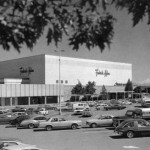 The Tacoma Mall Twin theater (and I assume the Southcenter as well) was developed by Forman United. Happy Black Friday! 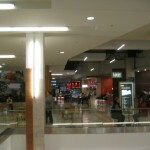 Be sure to arrive at your mall extra early, say 2AM! 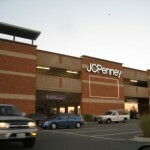 Was the JCPenney always a JCPenney or was it another store? 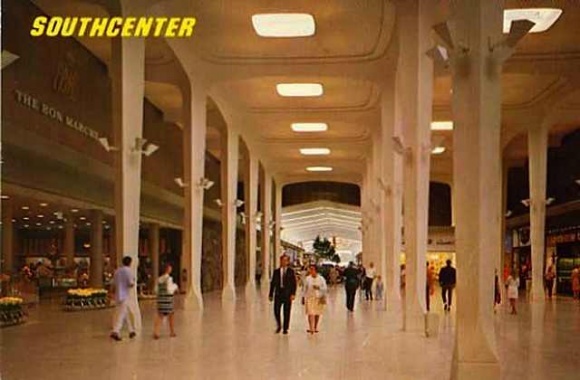 The court area kind of looks like Cinderella City mall back in its prime, did this place have any sort of fountains and if so, were they the kind that shot up to the ceiling? 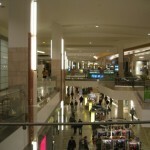 @DayGlo!, I heard Seoul Plaza was getting emptier and emptier, and that was before the recession really kicked in. @DayGlo!, these pictures were only taken a month ago, and the expansion to include the Asian-themed wing was done very recently, so for now it’s actually doing extremely well. 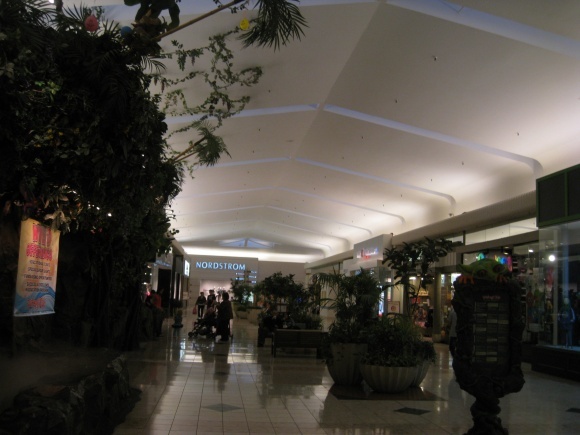 That part of the mall was packed when we went. But I think one important distinction is that this is on the west coast, where there’s generally a larger and more integrated Asian community, than on the East Coast where ideas like this still seem to be newer. 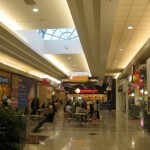 @Pseudo3D, Cupertino is heavily Asian, and the mall was owned by three Asian investors, but I wouldn’t say they “tried to go more Asian.” They never tenanted with any specifically Asian-skewing restaurants or stores. 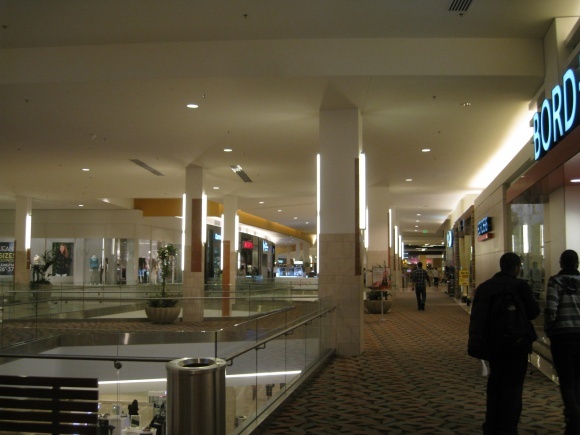 Beyond the movie theatre, bowling alley, and a few other things, they didn’t successfully tenant with anything. The only thing that was especially Asian was the owners and clientele. @Caldor, what about the dim sum restaurant(s) or the Asian candy shop? 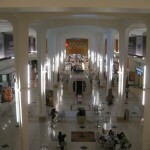 This mall is crazy. 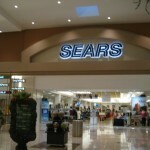 The first time I went there since it expanded, I got lost. Full on “I can’t get out!” lost! 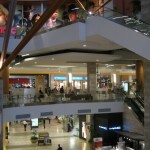 But, I have to say the selection of stores is pretty amazing. Going there is a full-day excursion. 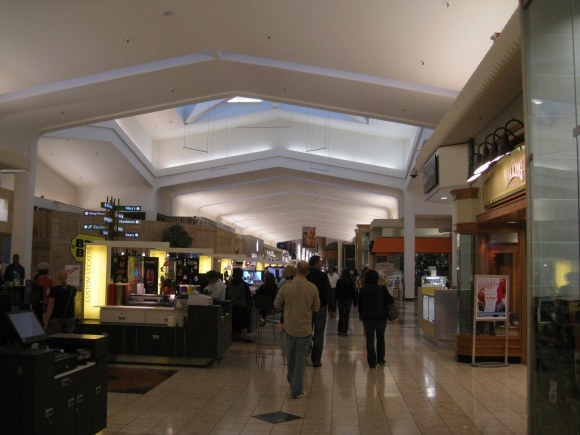 I like the way how they managed to do the Asian wing distinct from the mall but not too distinct (or trashy). 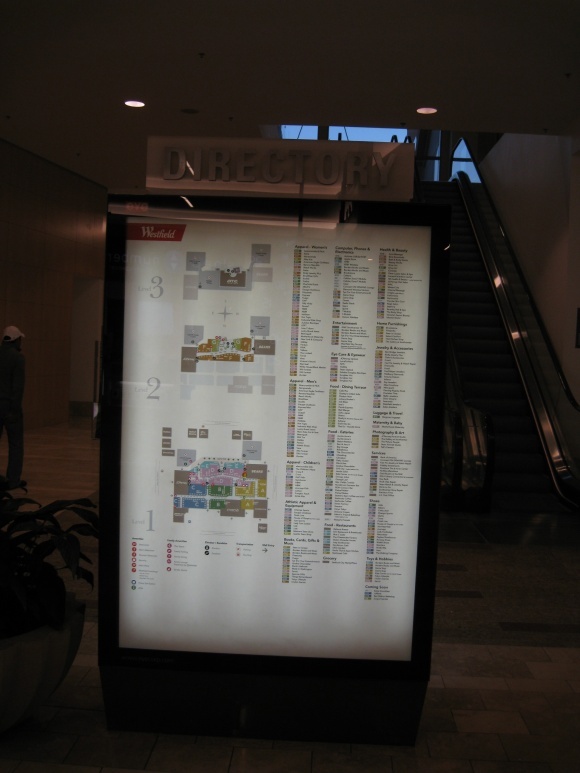 I wish a mall would try something like that, but with local retailers or something. 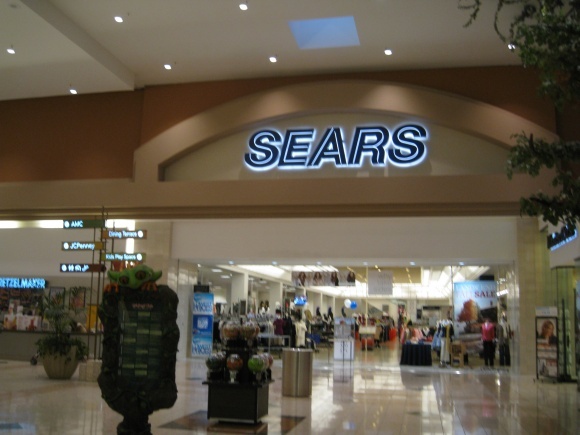 Recently experienced overt racism while shopping at this mall. 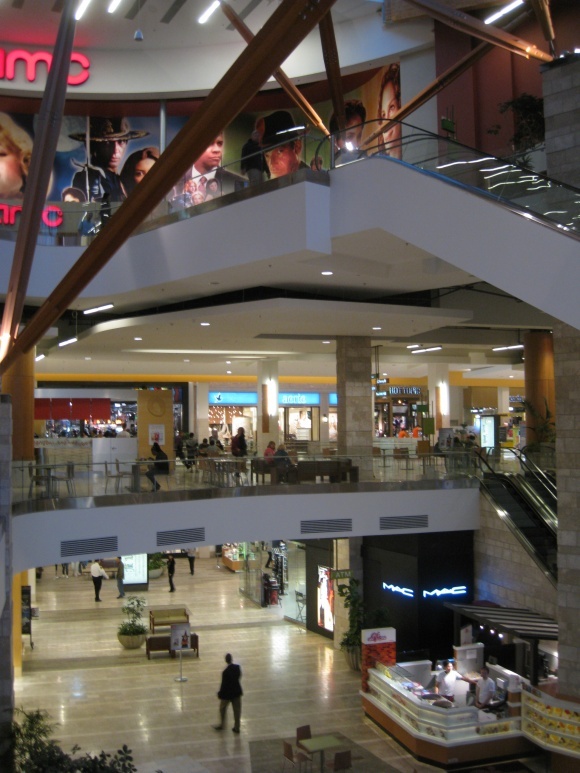 So surprised when I called to ask if there was a professional to contact regarding these concerns at the mall but, there was no point of contact person to discuss the issue with. And, unfortunately this is strange as there are so many folks of different nationalities not only employed there but, also that shop there. Wondering if other people have similar experiences like I had one day of a woman associate employee following me instead of giving a greeting and asking if I needed help. Was WAY better in the 70’s, has gone downhill ever since. 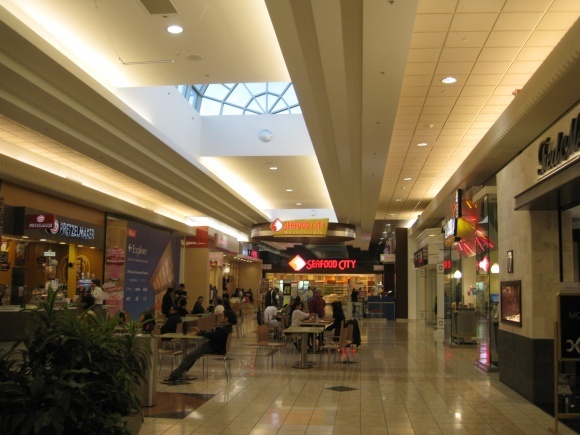 By the way, the original mall had a full grocery store in it up to the early 80’s so the Seafood City is hardly revolutionary. 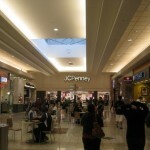 Yes, J.C. Penny has always been there and always in the same location. 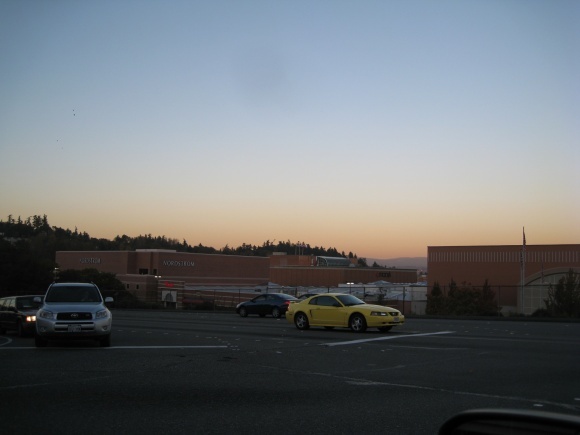 The worst part of the “new” Southcenter is the amazing movie theater that was in the parking lot and one of the last great 70mm houses built in America…sadly a “Bahama Breeze” has replaced it. Wow.. this takes me back. 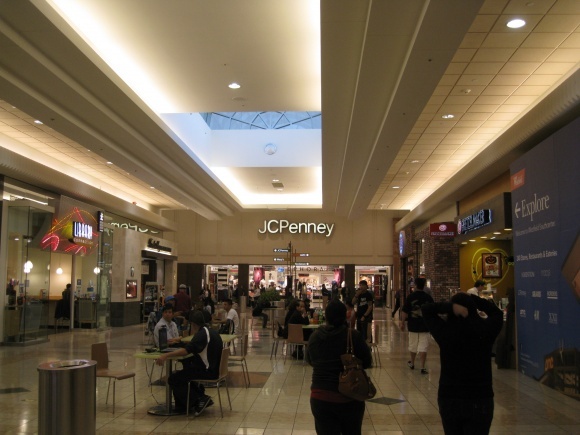 I was 13 years old when Southcenter opened, and my friends and I would go there and just hang out. 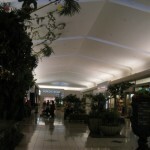 I truly love my mall, after all, it was built us for my entertainment! 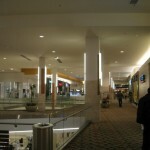 I was at South Center the day it first opened. Toy’s Galore was my favorite store (I was a child :p). 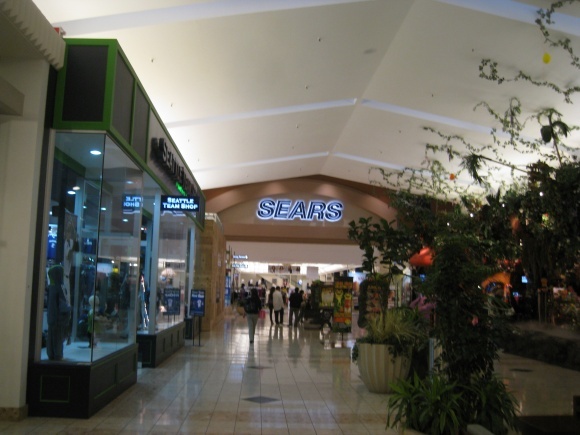 I practically grew up in that mall. 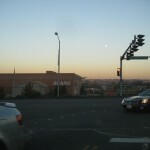 I moved out of the area just 2 months ago, and I miss South Center terribly. 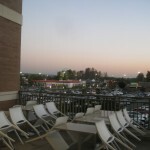 Southcenter is still beautiful. 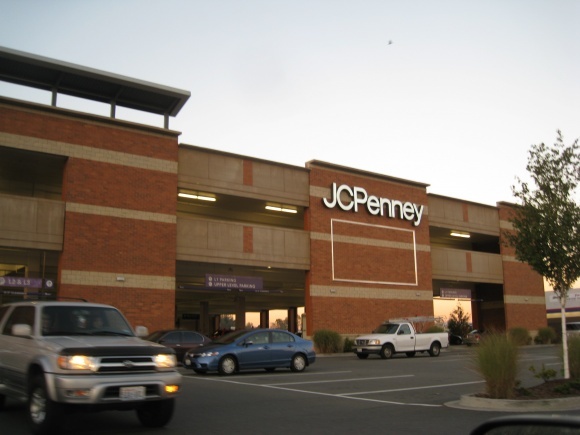 Just did all my Christmas shopping there… somehow. It’s always full of people. They just got a Lego store! They did something to their Teavanna store recently, they’re calling it a “concept” and it reminds me of the Apple store. It’s pretty terrible. Also the Asian wing is doing great, they just put in a huge bowling alley/arcade/bar called Round 1, with mostly imported arcade games. 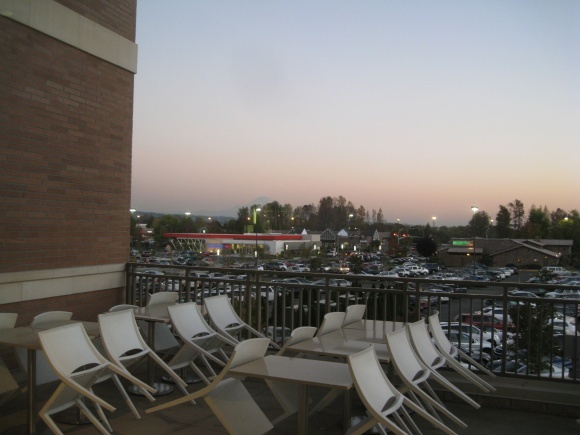 They utilized the top floor of what is now Seafood City. It’s pretty cool, I have only walked through it though.